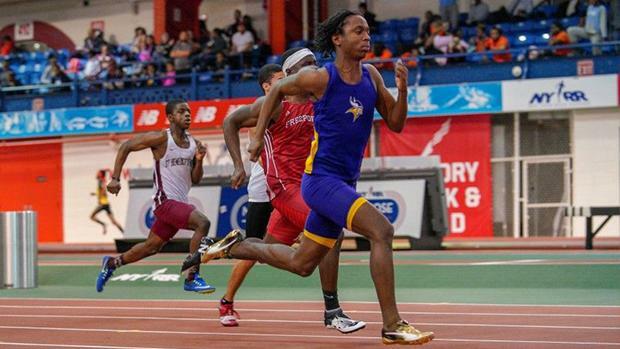 Can The PSAL Sweep The 55m State Titles For First Time Ever? Did you know no State Meet has ever been swept by a Federation other than NYSPHSAA? And only once have NYSPHSAA athletes been shut out of at least one of the Federation Sprint titles for the 55m? The rivalry between the four Federations run deep, as each contains their own storied history of New York State Competition. Se we wanted to look back and see what the history looked like on paper. Of the past 40 years of the Girls State Meet, the Non-Public Federations have captured 9 total Fed Sprint Titles. For the boys, it was 11 of the past 46. We could see history in 2019, but there are plenty of NYSPHSAA athletes looking for a Federation Title of their own.